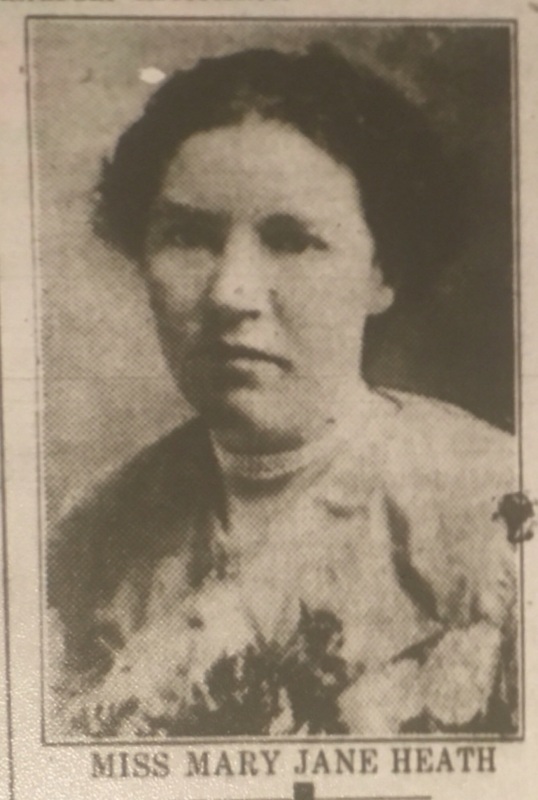 Through the courtesy of Capper’s Weekly we reproduce the likenes[s] of Miss Mary Jane Heath of Ingham, who has been in different hospitals the past year in an endeavor to locate the cause of her ill health. Twenty-two years ago Miss Heath unfortunately swallowed a couple phonograph needles. No serious thought was given the matter as time wore on and they caused no trouble. She has suffered considerably the past year, with an infected right lung, but the nature of the trouble could not be determined until a short while ago one of the needles emerged through her right chest. We are informed by relatives that Miss Heath is again back in normal health after going through her very unusual experience.